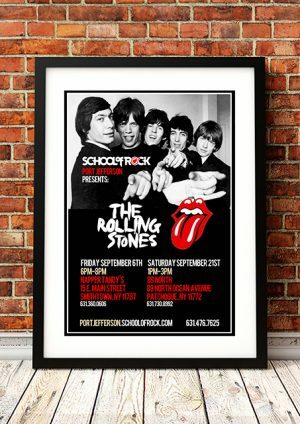 Classic Rolling Stones Band Concert Posters and Memorabilia! Buy Online Now! 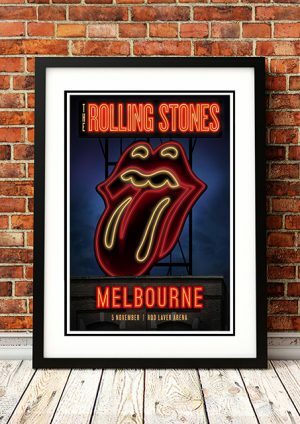 By the time the Rolling Stones began calling themselves the World’s Greatest Rock & Roll Band in the late ’60s, they had already staked out an impressive claim on the title. As the self-consciously dangerous alternative to the bouncy Merseybeat of the Beatles in the British Invasion, the Stones had pioneered the gritty, hard-driving blues-based rock & roll that came to define hard rock. With his preening machismo and latent maliciousness, Mick Jagger became the prototypical rock frontman, tempering his macho showmanship with a detached, campy irony while Keith Richards and Brian Jones wrote the blueprint for sinewy, interlocking rhythm guitars. 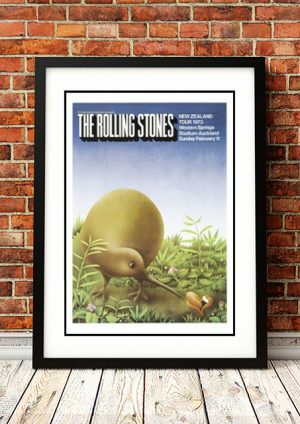 Backed by the strong yet subtly swinging rhythm section of bassist Bill Wyman and drummer Charlie Watts, the Stones became the breakout band of the British blues scene, eclipsing such contemporaries as the Animals and Them. 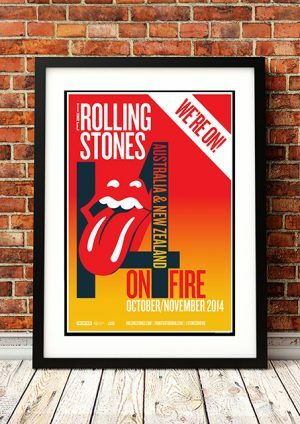 Over the course of their career, the Stones never really abandoned blues, but as soon as they reached popularity in the U.K., they began experimenting musically, incorporating the British pop of contemporaries like the Beatles, the Kinks, and the Who into their sound. After a brief dalliance with psychedelia, the Stones re-emerged in the late ’60s as a jaded, blues-soaked hard rock quintet. They had always flirted with the seedy side of rock & roll, but as the hippie dream began to break apart, they exposed and reveled in the new rock culture. It wasn’t without difficulty, of course. Shortly after he was fired from the group, Jones was found dead in a swimming pool, while at a 1969 free concert at Altamont, a concertgoer was brutally killed during a Stones show. But the Stones never stopped going. For the next 50-plus years, they continued to record and perform, and while their records weren’t always blockbusters, they were never less than the most visible band of their era — certainly, none of their British peers continued to be as popular or productive as the Stones. And no band since has proven to have such a broad fan base or such far-reaching popularity, and it is impossible to hear any of the groups that followed them without detecting some sort of influence, whether it was musical or aesthetic. 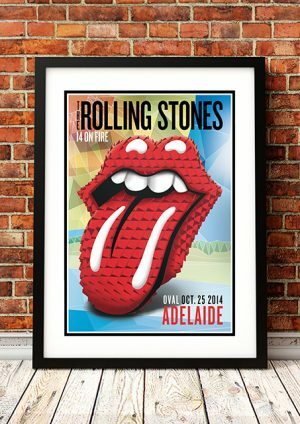 We stock some awesome Rolling Stones Band Concert Posters.